Lavender is renowned for restoring peace and calm and relieving stress and tension and this set has everything you need to do just that. 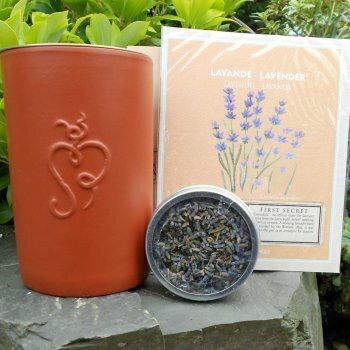 Included in our lavender incense set is a terracotta burner for a candle, a stainless steel sieve, a small box of dried lavender, a packet of seeds for growing your own lavender and a handy book with tips on using your burner. All this comes gift boxed making it an ideal present for someone who needs relaxing.